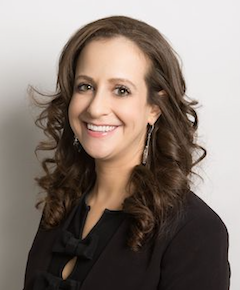 Allison L Bishow, an Associate with the firm, is a family law attorney in Ft. Lauderdale specializing in divorce, child support, paternity, alimony, and time-sharing. As a family lawyer, Ms. Bishow listens to all client's objectives and concerns in order to develop an individualized strategy to meet the needs of each client. She approaches every custody, divorce, and child support case with immense compassion and detail, well aware of the emotional nature of these matters. She understands the value of mediation in developing positive working relationships between individuals in stressful situations, particularly where children are involved. She enjoys advocating for her clients and is committed to effective and result-driven representation. Ms.Bishow is very knowledgeable in all facets of family law and is a warm, smart and fierce advocate for her clients. Ms. Bishow graduated from Syracuse University/Maxwell School with a Bachelor of Arts Degree in Political Science. The year following graduation she interned on Capitol Hill with Maryland Congressman John Sarbanes. Following her internship she attended Nova Southeastern University Shepard Broad Law Center, where she received her Juris Doctor and has been a member of the Florida Bar since 2012.